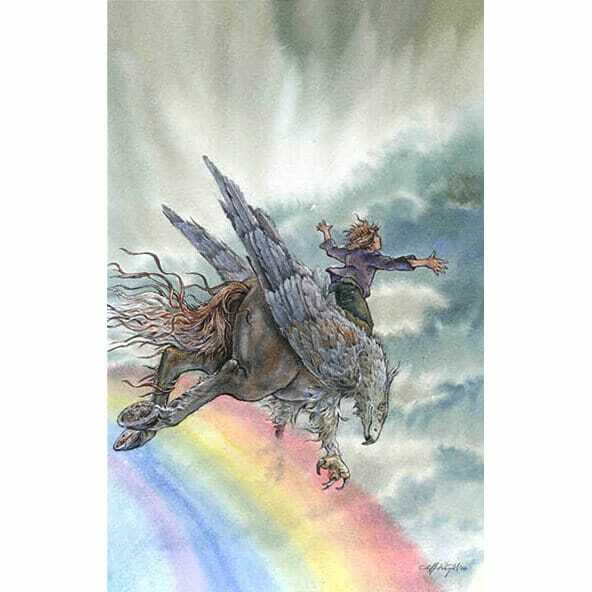 Over the rainbow a boy leaps, riding on the back of his favourite Hippogriff. 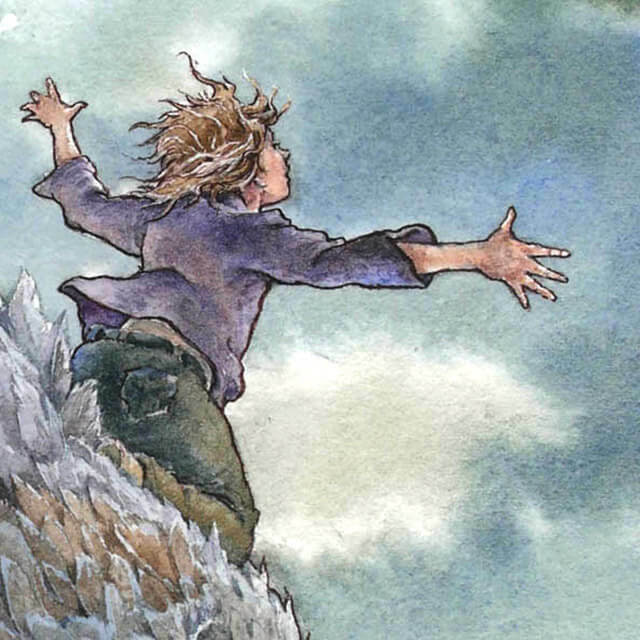 Over the rainbow a boy leaps, riding on the back of his favourite Hippogriff. This exceptional quality reproduction is printed by Fine Art Guild registered printers Art4Site to the most exacting standards, it is fully lightfast and will provide many years of lasting pleasure. Cliff Wright’s images take you to a world where the magical becomes commonplace – fleeting moments where the veil between the real and the imagined is thinly drawn. Somewhere… reminds us of that world where anything is possible, with a nod to medieval bestiaries and Harry Potter. Reproduction from the original watercolour.